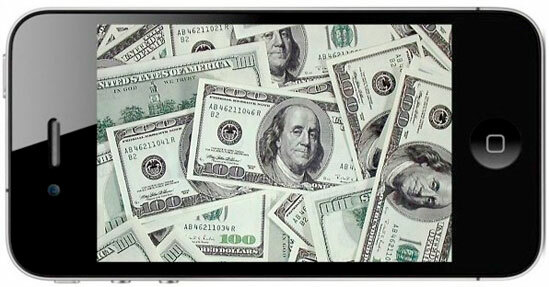 The Hopkinson Report » Episode 43 – Which iPhone App revenue model has the most profit potential? « Episode 42: Victories and failures of social media in Super Bowl commercials. Episode 43 – Which iPhone App revenue model has the most profit potential? 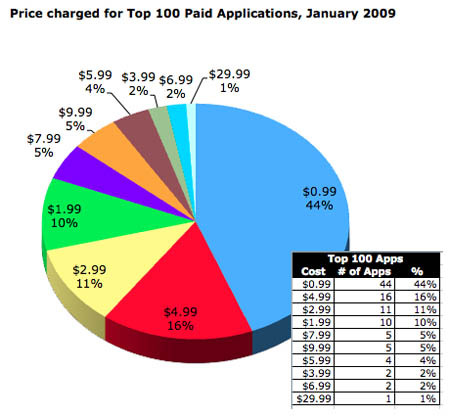 NOTE 1: Although this post was published in 2009 and many of the numbers have changed, the underlying concept of what is the best revenue model for iPhone and iPad apps is still helpful. Note 2: Looking to create your own app? John Bura’s Learn how to make iPhone and iPad apps in 1 hour without any programming is one of the most popular courses on Udemy.com with 4,500+ students. That’s the number of iPhone apps downloaded as of mid January 2009. Apple had done it to me again. Back in September 2008 when I was doing market analysis as a Marketing Director at Conde Nast Digital / Wired.com for the release of the Wired Product Reviews iPhone application, I stated that a whopping 100 million iPhone applications had been downloaded. But when I checked my stats again a week or so later before the kickoff meeting, the number had already doubled to 200 million. Then they did it again. I had some pretty recent stats that said 300 million downloads. Guess again. 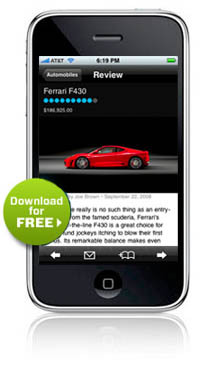 In mid January 2009, Apple announced that they had ballooned to 500 million iPhone App downloads in just six months. To put that into perspective, it took 2 years for the number of iTunes songs to surpass half a billion. Of course when you think about it, it makes a lot of sense. In 2003 when the iTunes store launched, far more people were still illegally downloading songs on Napster and other file sharing services. The iPod didn’t have the stranglehold on the MP3 player culture that it does now. But in the last 5+ years, Apple has essentially educated a generation of followers on how to download digital content. The work done by iTunes has paved the way for the App Store. There was no learning curve. So if you’re looking to build an application and jump into the fray, what’s most profitable revenue model for an iPhone app? In this model, a company like Wired released a very solid, free application that brings real value to its readers. Users can browse product reviews that are updated daily, and the next version will feature the ability to view the latest tech videos, and a direct feed of Wired’s Gadget Lab Blog. The main goal for Wired is to deliver their content in multiple formats and extend their reach, so that readers can choose which method works best for them, be it the print magazine, online at Wired.com, via podcasts, RSS, and now, the iPhone. Because of Wired’s strong brand name and established sales team, they have the option to package sponsors within their free application to generate incremental revenue. Extending the online reach is also the goal of apps like Facebook, Yelp, the New York Times, and others. However, new companies looking to follow the straight advertising model may want to think twice given that ad budgets have been sliced across the board. While I feel companies in this category will continue to develop, I’m sure they’ve scaled back their expectations that this will be a profit center. In this model, companies hope to create a huge buzz around their product by offering it for free and getting it into as many hands as possible. In some cases, iPhone developers are looking for revenue down the line. For example, if you’re a development shop and hit it big with a popular application, you can work the press from both ways. Other examples of loss leaders are ones that choose to drive users to their more profitable web site, to events, political campaigns, or in the case of the Audi A4 Challenge, they hope users literally drive to a showroom for a new car. One revenue stream that caught me by surprise was when I looked at Urbanspoon’s website. While they do serve unobtrusive ads in their app, they tag themselves as “The world’s leading provider of time-critical dining data.” Not to be lost in all this is the millions of interactions that users make with the program. Companies like Urbanspoon could find a source of revenue by reselling this valuable data that they collect to market research groups or other entities. This category covers everything from games like Yahtzee to Japanese language translators to NYC Subway Maps to farting applications. And that’s just the sample from my phone. These particular apps range from 99 cents up to 4.99, and while I use some more than others, I don’t regret the few dollars I spent on any of them. And isn’t that the idea? In the short term, getting thousands of people to say what the heck and dropping a buck can lead to some pretty fast profits. But as in any industry, over the long term the fly-by-night outfits will fade away and only apps that provide clear value will rise to the top. However, recent rumors have Apple creating a premium game section with apps priced at $19.99, only open to a restricted number of large publishers. If Apple rolls out its next generation phone more beefed up for gaming, this segment could grow rapidly. Probably the first application to mine this market was one called “I am Rich,” which simply charged someone with more money than brains the tidy sum of $1,000, with the only value they receive is a glowing red icon on their phone, and bragging rights on the geek yacht. The app was later pulled from the store. But I also came across a program called iRa Direct. The company behind it, Lextech Labs, has a goal of “making it easier to interact with complicated technology systems while mobile.” Their application, which costs $499.99, brings the ability to view live action surveillance video cameras from your iPhone. 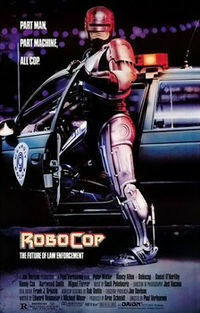 Let me say that from their screen shots, the video looks amazing, the amount of tech-speak they throw around makes it look like they put a ton of engineering into this, and their sister company, Lextech Global Services, either really knows what they are doing, or is the evil corporation from the original RoboCop movie. So could this app be worth $500 bucks to the correct audience? I have to believe it could, and that there will be many more scenarios like this. I’d like to think that any future apps that will cost several hundred dollars, will be based on programs and systems far more complex than More Cowbell. Thus, the development of these programs will have longer lead times to get to the mobile space, so I’m sure there are R&D labs filled with coffee-charged programmers coding away as we speak. This is the area that intrigues my entrepreneurial streak the most. Applications in this space don’t need the huge marketing budget to get noticed above the clamor of thousands of other mass market programs, nor hope to get lucky that your app strikes it big after getting featured in an Apple commercial. 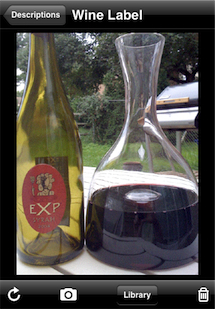 I recently heard the story about an iPhone application called Winepad on the Internet Business Mastery podcast. Billed as the iPhone app for wine geeks, it replaces a real-world product, the wine journal. While I must admit I had never seen or heard of one, it instantly made sense to me. I know there is a large population that not only adores wine, but obsesses over it. Hey, I’ve seen the movie Sideways. I can easily picture aficionados logging the name, vintage, price, rating, color, clarity, aroma, taste and their personal comments in a leather-bound journal and sliding the bottle’s label in as a bookmark. But why do that when you can do the same thing on your iPhone with just a few taps, and take a photo of the bottle with a simple click. It’s brilliant, and just $2.99. But here … here is where it becomes genius. Genius! With the code optimized for Winepad, he promptly rolled out Beer Pad. Is it a mass market American beer, a tiny microbrew, a German Lager, a British Ale, or an Irish Stout? Just record it in your iPhone. If you’re a bartender that works at a brewery that swaps their kegs out daily, or a home brewer that tries out different batches, this app seems targeted to you. You want more genius? You know it didn’t take him long to roll out Whiskey Pad. Same program, new audience. Note: Affiliate links are used where available. This entry was posted on Wednesday, February 11th, 2009 at 10:51 pm and is filed under Apple, Branding / Advertising, iPhone, Marketing Case Studies, Social Networking / New Media. You can follow any responses to this entry through the RSS 2.0 feed. Both comments and pings are currently closed.